If you are worried about a child, are fearful for their welfare and suspect that they may be being abused, then you should act without delay by contacting any one of the number of charities and services that are set up specifically to help. The Community Programme will enable you to find the help and information that you need to act quickly and effectively. 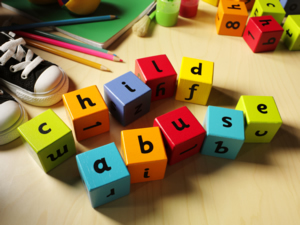 Child abuse is more than purely physical abuse, although this is easier to spot, other types of abuse, such as emotional abuse and neglect can also leave deep and lasting scars. The sooner abused children get help, the greater their chance of healing and going on to lead normal and happy lives, breaking the cycle of abuse rather than perpetuating it. The Community Programme can help you to find information on how to spot the common signs of child abuse and details of the organisations and support services in your area that you can contact for help and advice. Similarly, you can discuss your concerns on our free, confidential online forum. If you suspect that a child you know is being abused, please take responsibility for stopping it by contacting one of the organisations listed by The Community Programme to make a lasting and positive difference in a child’s life.